Situated in the mountains, this hotel is within 1 mi (2 km) of Place des Portes, Saint-Florent Beach, and Saint-Florent Marina. Saint-Florent Citadel and Beach of Saint Florent are also within 1 mi (2 km). Situated in Saint-Florent, this luxury hotel is 0.5 mi (0.8 km) from Saint-Florent Citadel and within 12 mi (20 km) of Farinole Beach and Nonza Beach. Loto Beach and Saleccia Beach are also within 20 mi (32 km). Situated in Saint-Florent, this hotel is within 1 mi (2 km) of Beach of Saint Florent, Place des Portes, and Saint-Florent Citadel. Saint-Florent Marina and Saint-Florent Beach are also within 2 mi (3 km). Situated near the beach, this residence is within 1 mi (2 km) of Saint-Florent Beach, Place des Portes, and Saint-Florent Marina. Agriate Desert and Saint-Florent Citadel are also within 2 mi (3 km). How Much is a Hotel Room in Saint-Florent? Hotels in Saint-Florent start at $70 per night. Prices and availability subject to change. Additional terms may apply. Within a 6-mile (10-kilometer) radius of the heart and soul of Saint-Florent, through Travelocity's reservations page you can unearth a small, but excellent range of places to rest and relax. Saint-Florent features 2 lodgings within an easy commute to the CBD. The Le Relais de Saleccia is the closest Travelocity-listed hotel to the middle of Saint-Florent and it is just a quick drive away. 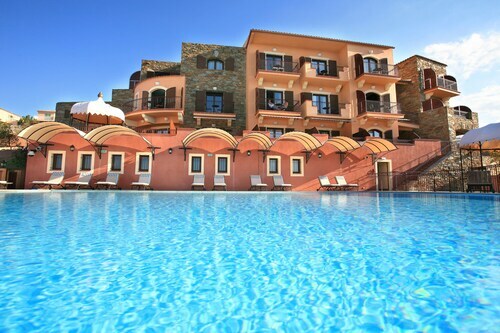 The Hotel Thalassa is a budget-priced hotel. 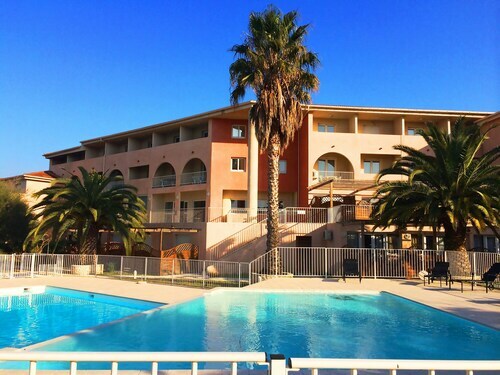 You'll find it nicely situated 6 miles (9 kilometers) from the heart of Saint-Florent. Also, investigate the Adonis Saint Florent Citadelle Resort. Check out the Hôtel Perla Rossa or the Demeure Loredana. 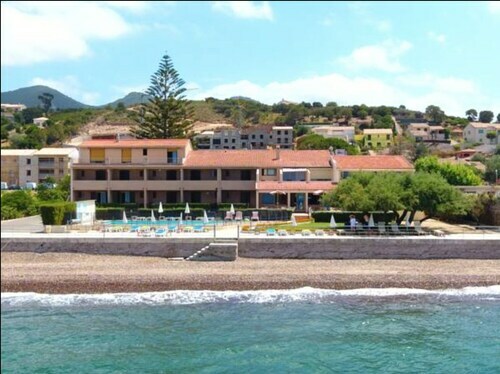 The Hôtel Perla Rossa is located only 14 miles (23 kilometers) away from the town center of Saint-Florent. The Demeure Loredana, is situated 5 miles (8 kilometers) away. Some other Travelocity-registered hotels include the Relais du Silence La Roya and the La Dimora. The broader Corsica area is worth discovering too. Corsica has beaches, coastal plains and forests, and other commonly visited tourist places of interest are ruins and traditional villages. Active travelers might get into mountain biking in this part of France. Looking for activities? Spend the day discovering Place Paoli and Ile de la Pietra, in L'Ile-Rousse, 14 miles (23 kilometers) to the west of Saint-Florent. If you'd like to spend a night or two in L'Ile-Rousse, check out the rooms at the Résidence Dary and Langley Resort Napoléon Bonaparte. Or, you could stay the night in Aleria, 45 miles (70 kilometers) south of Saint-Florent, where you can choose from the Hôtel L'Atrachjata and Hotel Empereur. While visiting Aleria, it's worth visiting the Aleria Marina and Departmental Museum of Archaeology Gilort Carcopino. When cheering on sport if on your list of things to do, stop by Stade Armand Cesari, which is 12 miles (20 kilometers) to the east of Saint-Florent. Sleep close to the sporting action at the Sud Hotel or the Hôtel du Palais. For travelers planning on arriving or departing via Poretta Airport, you may find it convenient to stay at Hôtel Spa La Madrague, or Les Jardins De La Madrague, which are both a short drive away. T2 Apartment of 55 sqm Terrace 4ps, air Conditioning, Jacuzzi ..